This Royal Castle Package is Icey Hot! 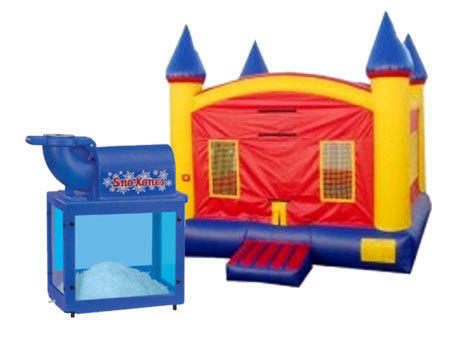 In the Castle Freeze Package you'll get the awesome castle bounce house that's ready for your prince or princess party, and the U Bounce Sno-Kone Machine. Includes supplies for 50-60 servings. Additional supplies available upon request for an additional fee.